Atlantis continues to behave herself on Pad 39A, with no notable issues reported in the launch countdown. With the Mission Management Team (MMT) now meeting daily, the build-up to a “go” for tanking at 5am local time on Monday currently has no obstructions in its path. Meanwhile, engineering leads from the United Space Alliance and NASA met with the STS-129 crew to discuss their work on Atlantis over the last month. PRSD (Power Reactant Storage and Distributation) loading of liquid hydrogen and liquid oxygen into Atlantis’ three power-producing Fuel Cells has been completed, followed by Orbiter Mid-Body Umbilical Unit and Tail Service Mast (TSM) securing. Sunday morning begab with the Ascent Team being addressed on console, reviewing the latest status with the count and final preparations for Monday’s business end of the countdown. This included an update on the weather status for launch – which is currently showing a 90 percent chance of favorable conditions on Monday afternoon. The Rotating Service Structure (RSS) has been retracted to reveal Atlantis in all her glory, as the S0007 timeline remains on track. The final overview of Atlantis’ engineering status was presented to the crew at the weekend, a meeting that updates work that has been carried out on Atlantis since the crew were last at the Kennedy Space Center for the Terminal Countdown Demonstration Test (TCDT) in October. “The purpose of this briefing is to provide the Atlantis Flight Crew with a summary of significant vehicle and payload issues that have occurred since the STS-129 TCDT L-1 Day briefing that was presented on 10/20/09,” opened the STS-129 Launch Countdown L-1 Engineering Briefing presentation, acquired by L2. While the presentation is 18 pages long – and associated with a 36 page Delta FRR (Flight Readiness Review) update presentation that concentrates on modified flight rules and procedures – the reoccurring theme is that Atlantis has enjoyed a very smooth pad flow. “Significant system problems since the TDCT briefing: None. 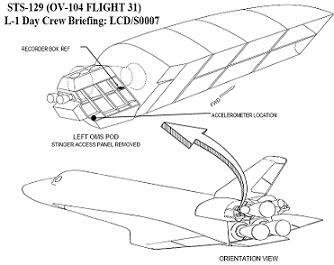 System modifications implemented since the TDCT: None,” listed the presentation, with only a replaced Multifunction Display Unit (MDU CRT 2) opening the list of changes as a miscellaneous system item – along with instructions to the crew in the event of a related on-orbit issue. 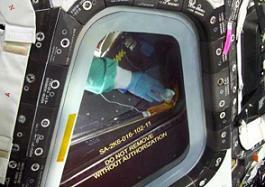 “As was mentioned during the TCDT briefing, MDU CRT 2 was removed and replaced due to some scratches on the LCD surface. The new unit has successfully passed all retest requirements, but has exhibited some sensitivity to a known power-up race condition documented in MEDS user note HW-0002. Engineers also outlined the lightning strike at the pad in the middle of October, which resulted in the need to retest numerous electrical systems on the orbiter. The final set of retests will be carried out shortly – in time for the tanking briefing at the MMT on Monday morning. 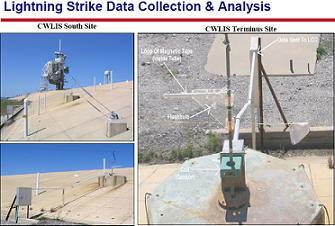 “Problem: A lightning strike at PAD A on 10/14/09 exceeded maximum allowable field strength limits. The lightning strike hit the PAD SS (Sound Suppression) water tower and lightning mast only, no direct attachment to vehicle. Cause: Florida weather + vehicle on the PAD during May through October timeframe = lightning in the area,” added the presentation, listing this as a significant integration issue since the TCDT. Of course, the largest item of interest has been the addition of sensors to the stinger area between the Reaction Control System and OMS Pod on Atlantis, relating to the Main Engine Ignition (MEI) Acoustic and SSME (Space Shuttle Main Engine) Ignition Overpressure (IOP) Environments and stresses on that particular structure – which officially gained flight rationale over the past few days. “In order to gather additional aft environment data to better understand the effects caused by Main Engine Ignition (MEI), KSC was directed to install additional instrumentation to the LH OMS POD (one tri-axial accelerometer) and to the LH2 TSM (a suite of acoustic sensors),” added the system modifications since the TCDT note. As outlined in previous articles on the expansive planning for additional data on the MEI and IOP environments, the sensor that was added to Atlantis is based on the WLEIDS (Wing Leading Edge Impact Detection System accelerometer, which has performed extremely well on the RCC panels since Return To Flight. Their primary goal has been to feel for impacts on the WLE during ascent, and also an ability to register trigger indications of impacts from MMOD (Micro-Meteoroid Orbital Debris) during on orbit operations. Information was also passed on to the crew with regards to missing items that may reveal themselves once the orbiter is in the micro-G environment on orbit. While some of the items are only deemed as lost – and thus may not of become unwelcome stowaways on Atlantis – it was prudent to make the crew aware. “Cotton tip of swab was not extracted when the swab was used during window 8 cleaning. The swab tip is in an inaccessible location between the forward fuselage and the crew module. 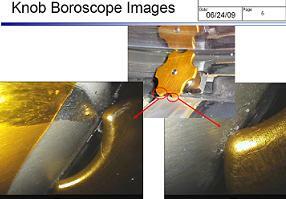 Borescope inspection verified it was not in an accessible area,” noted one of several examples on the list. Such items may become of added interest if found wandering around the Crew Cabin ahead of entry, following the incident with a work light knob that managed to float around the flight deck of Atlantis during her STS-125 mission, before embedding itself between the dashboard panel and Window 5. Once Atlantis returned back to Earth – and was depressurized – the knob couldn’t be freed by hand. With concerns the pressure pane may have been damaged by the knob’s edges, or additional damage may be inflicted on the pane during its removal, engineers knew they’d be facing a six month impact to the STS-129 flow if the pane had to be replaced – a procedure never before conducted at the Kennedy Space Center. Thankfully, the engineers were once again up for the challenge, as the application of dry ice – to shrink the metal knob – and a slight increase of crew module pressure worked. The pressure pane was deemed to be in an acceptable condition, following inspections after the knob’s removal. It has since become a flight rule for the crew to check for any objects that may have found their way into the areas between the dashboard and the windows, as noted in the L-1 materials. “Window Area FOD (Foreign Object Debris) Inspection: A Flight Data File Change to the Orbit Ops was approved to have the commander and pilot survey the forward windows to ensure that no FOD is present prior to entry. This article will be updated during the Sunday part of S0007 operations, with a launch day article to follow for tanking on Monday morning.